As the English player, you seek to pacify Scotland by controlling all the important noble lords. The Scottish player also seeks the allegiance of nobles to support a difficult struggle for freedom. Hammer of the Scots will give you many hours of entertainment and insight into this fascinating period in history. 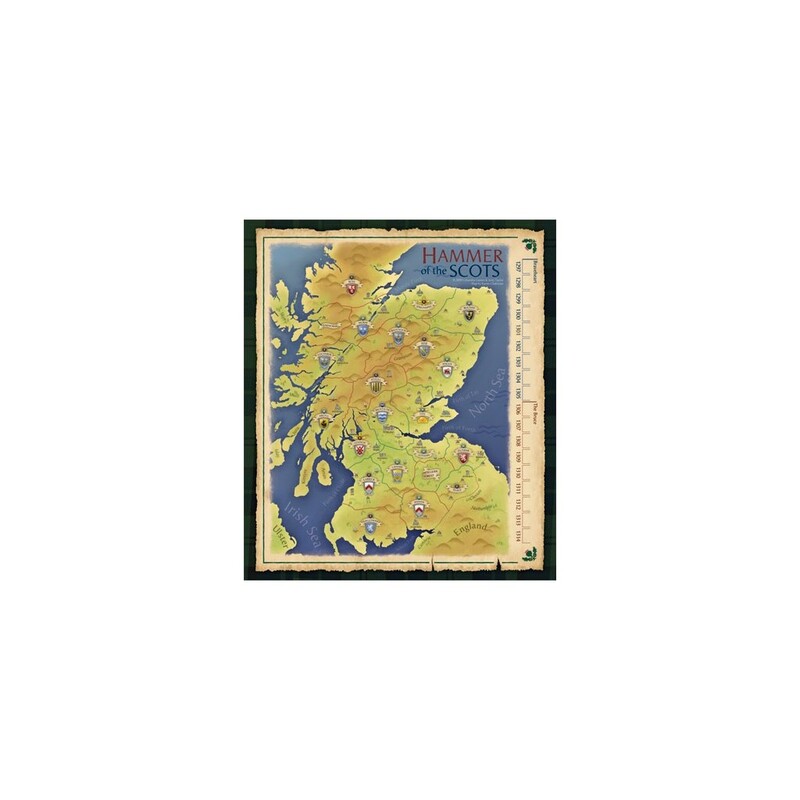 Map board: Full-color (22"" x 25"") mapboard of Scotland and Northern England with heraldry of the important noble families. Print this board to keep your units organised during battles.